President of Polish Amateur Radio Union we invite you to acquire "ARCTOWSKIAntarcticAward ". 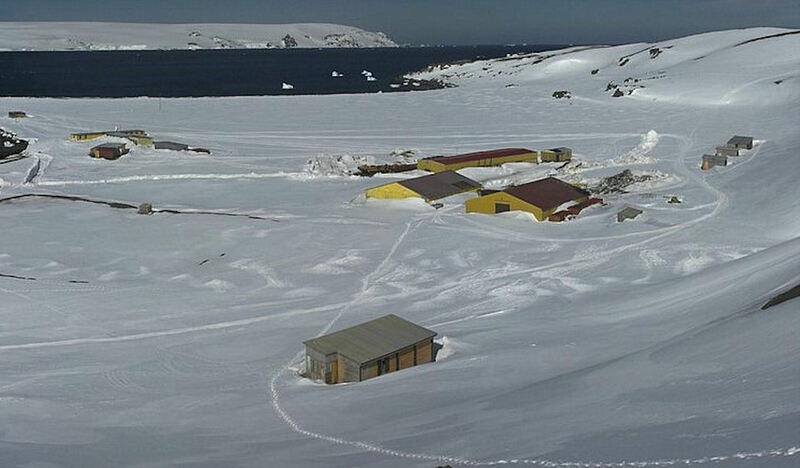 The "AAA" is issued under the auspices of Polish Academy of Sciences, Department of Antarctic Biology in Warsaw. The President of Polish Amateur Radio Union is the Patron of this Award. 1. 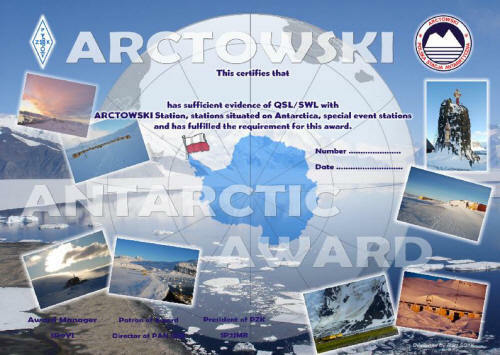 The award is available to OMs and SWLs ho can make evidence to have make 2 way contacts (or SWL reports) with stations HFOPOL, HFOAPAS and others, operating from ARCTOWSKI POLISH ANTARCTIC STATION on King George Island in Antarctica,or with operators active from different National Antarctic Stations. Special event "ARCTOWSKI Award Program" stations of such as HFxxxPOL and HFxxx.APAS and other, will also count. Repeated/Duplicated QSO/SWL are not allowed. Mr. Janusz Slowinski, ul. Bankowa 1, 42-460 Mierzecice, Poland. Fully hand-made, ceramic plates performed in Ceramika Dobkow Studio with special diploma. 3.Copy of the original QSL cards signed by two local Hams have to be sent along with an application. Postal cost for shipping are different from Standard or Priority at the choice of the applicants.